Braille is used by people who are blind or partially blind. This language requires the user to feel raised dots on a page with their fingers. 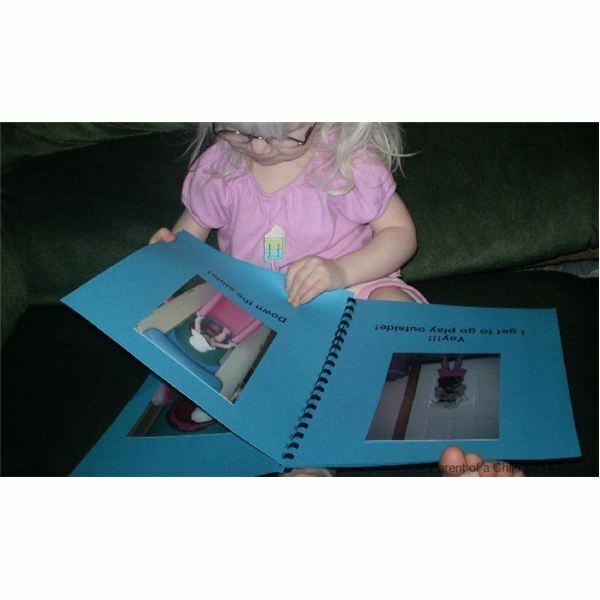 A print-Braille book is one that provides both print and Braille on the same page, making it possible for a visually impaired and a normal sighted child to read from the same book. Thus, a sighted parent, sibling, friend, or teacher can read along with the child. For young children in the age group of three to nine years, it is advisable to get books with short, repetitive text, and colourful representations of pictures to symbolize the storyline. Popular authors who provide such books are Margaret Wise, Dr. Seuss, and Eric Carle. Print – Braille books writers must understand the value of the elements of the picture and rightfully include it with the text storyline. Throughout the book, the child must receive continued reinforcement each time the characters appear. In Margaret Wise’s Corduroy, every time the main character appeared he was represented with a fur cut in the shape of a bear and decorated with a corduroy fabric. Authors can use different types of paper, feathers, leather, foil, buttons, fabric paint, foam, and other inexpensive and easily available items to create the tactical representation. Once the supplies are decided upon, they should be used consistently throughout the storyline. These materials can be affixed onto the page using a low heat glue gun. The next step is to decide whether the book needs to be transcribed into uncontracted or contracted Braille. The type of Braille to be used in the book depends upon the child’s age. Clear laminated sheets enable both sighted and visually impaired children to have access to the book. Once the text is transcribed, the Braille text is cut and placed over or below it. To read normal books, various assistive technologies are available to help the visually impaired. Brown Bear, Brown Bear, What Do You See? – Bill Martin, Jr.
To purchase many of the titles in this list visit Seedlings Braille Books or the Braille Superstore.